The best way to capture memories of a wedding is through taking beautiful photographs of the event, especially wonderful pictures of the happy couple! 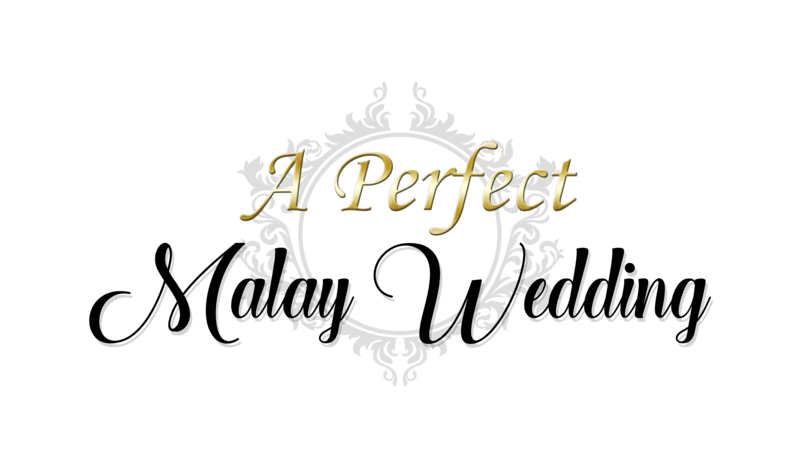 Every bride and groom would want their wedding photos to look as amazing as possible, and that’s where a beautiful dais / pelamin plays a crucial part. Yup, you need to add it in as an essential must-have item on your wedding preparation checklist! 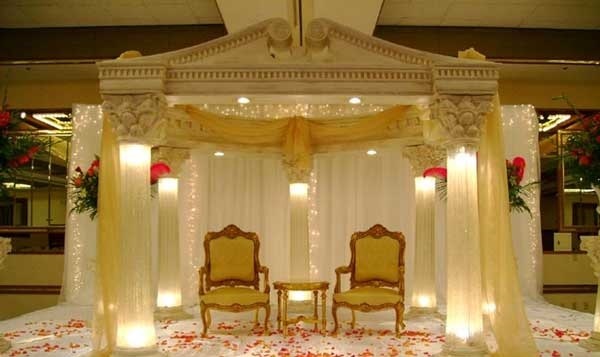 A dais, or called a ‘pelamin’ in Malay, can best be described as a ‘mini throne’ with a decorated backdrop for the bride and groom to sit side by side and be photographed either during the reception (known as ‘bersanding’ event) or upon the completion of solemnisation (nikah) ceremony. It’s the symbolism of a throne as the couple is regarded as king and queen of the day. Lots of pictures will be taken during this event and also afterwards. Photos with family members, bridesmaids and friends and other guests as well are typically taken on the dais. So you see why it really must be pretty! 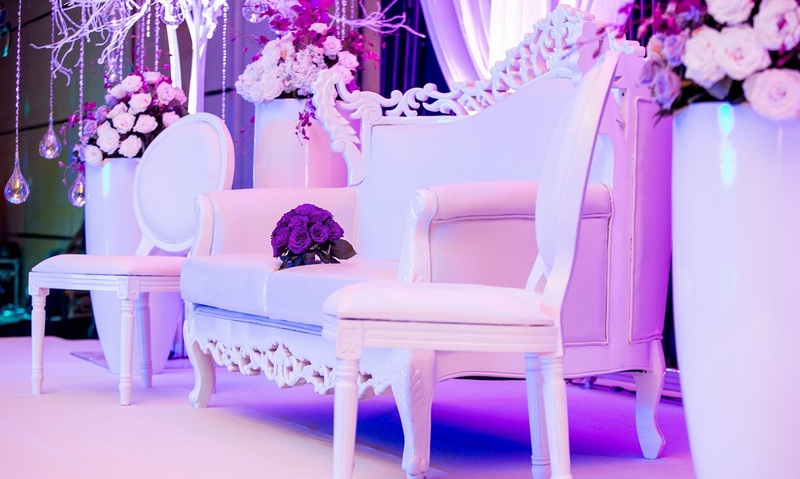 A mini dais usually utilises a bench as the main structure, long enough for the bride and groom to sit side by side. 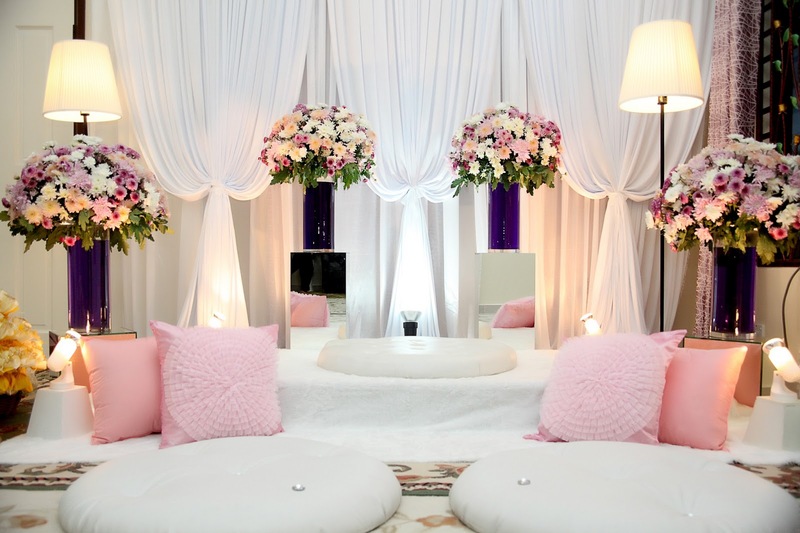 It is usually decorated with flowers (either artificial or fresh flowers) and completed with candles, lamps or other trinkets and patterned drapes at the back, with spotlights to provide the necessary lighting. 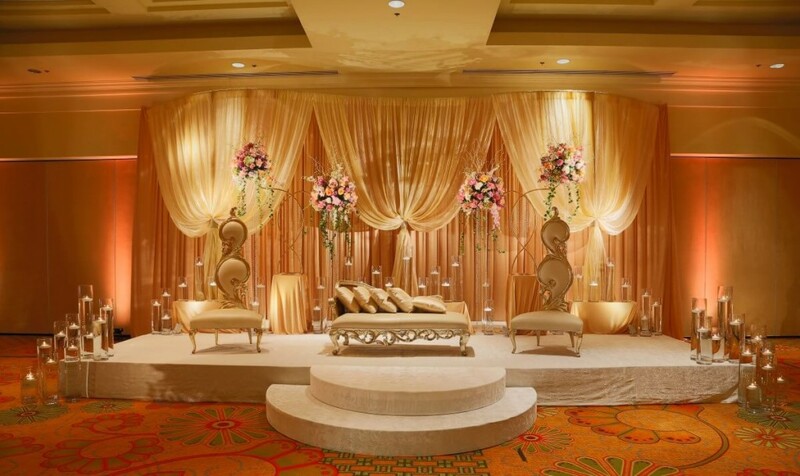 The size of the dais depends on the size of the venue and also the lavishness of the ceremony. 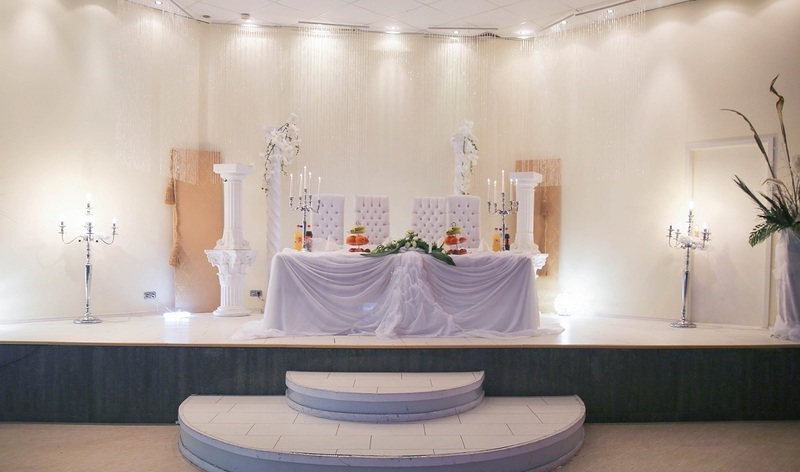 If there’s a full blown bersanding event, then it should be bigger in size and more elaborate in terms of its decoration. 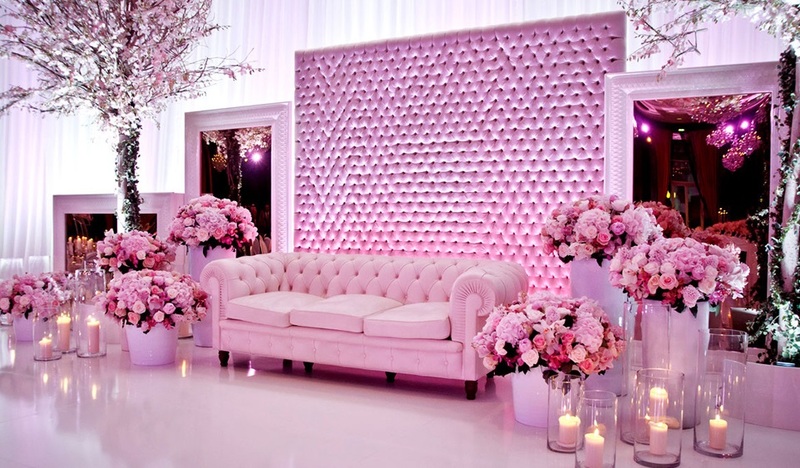 If the purpose of the dais is mainly to serve as the backdrop for taking photos, then it can be smaller in size. 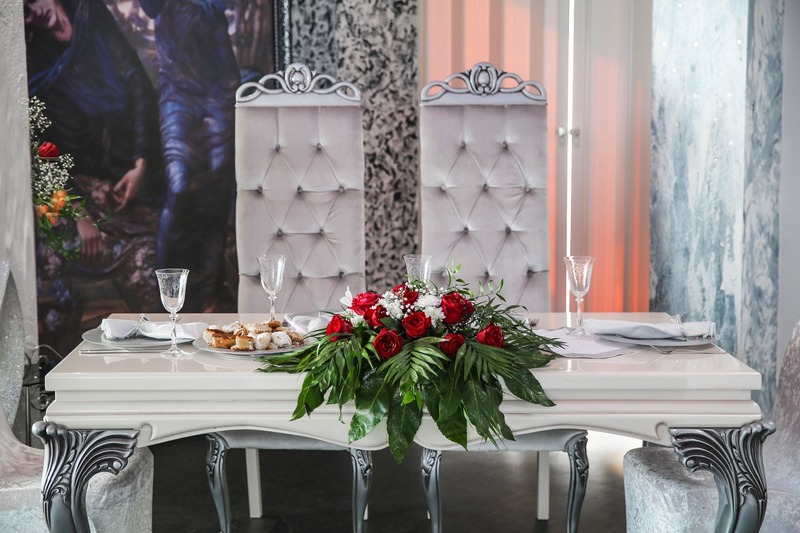 Nowadays, more varied designs can be found for the dais – although the flowery theme is still the most common, those who want something different can opt for a more rustic design such as a countryside design, or other themed designs e.g. morrocon/arabian concepts. There’s no end to possibilities here, creativity sets the limit! Talking about creativity, here’s a wedding gallery for bridal car decoration ideas. So it is really up to couple’s preference, taste and budget. 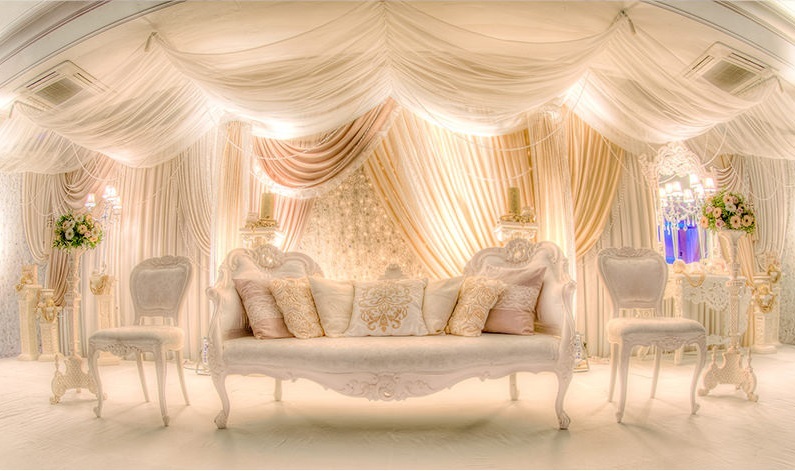 But whatever the choice, you need a skilled decorator to set up an amazing dais and that’s where we come in. We will help you to engage a vendor who shall prioritise your needs in every respect, so that your wedding will be as lovely as you want it to be!